Let’s face the fact: more than one billion people use social networks today. Social media is the next level of business opportunities and engagement. It creates a two-way communication that enables customer feedback and response in real-time. As the freight and logistics sector grows, it is essential to work with technology and media to drive efficiencies to connect with clients. Social media is a form of marketing tool that should be used to support your goals and objectives. Logistics has always been on the forefront of new technology, and with social media, there is an opportunity to drive technology for marketing and communication excellence. When deciding which social media platforms you will use – whether it be Facebook, Twitter or Instagram – and who will be involved, you must know how your current client and employee base engage on social media. Facebook and Twitter are excellent ways to connect to your audience. However, the key to achieving results with these outlets is by creating content that inspires and connects your potential clientele to you and your brand, and engaging with your audience regularly. It is a good idea to establish a social media expert by hiring someone internally or through back office outsourcing solutions. The content manager ensures your social media strategy will be executed thoroughly and any issues can be addressed promptly. Social media provides an opportunity for employees to engage and deliver on your brand promise inside and outside of your company. In the freight, shipping and logistics business, your audience is on social media, and you and your employees should be, too. Social media may be fun and open, with your customers, service partners, and employees all staying connected. This setup improves employee morale and retention, resulting in dramatically reduced training expenses. If you decide to have an open social media policy, however, you must have guidelines in place to set employee expectations of the trust you instill in them while representing your brand. Social media is not only a place to represent your brand and position yourself as an expert in freight and shipping in front of your carriers and clients, but also an outlet to connect with the community, further enhancing your reputation. Find a local cause to connect with and get your team involved. Having corporate social responsibilities allow you to reap the rewards of increased loyalty and brand recognition, while helping make a change in the community. 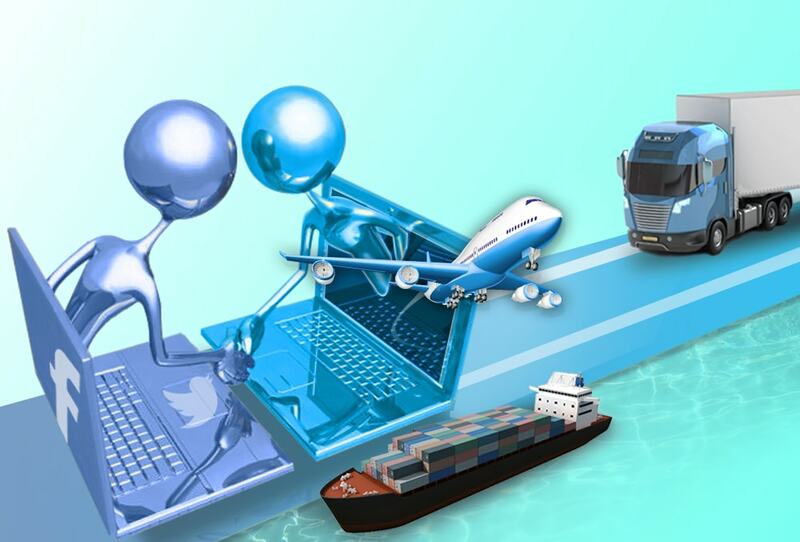 Lots of opportunities are there for professionals in the freight, shipping and logistics businesses who utilize social media as a key component of an existing marketing platform, but social media strategy should be taken seriously. Since you have one chance to make a first impression, you have to do it right by branding yourself properly on social media, and by providing insightful content, and engaging thoroughly and appropriately.